After he considered quitting, Portuguese cyclist Luis Leao Pinto (Scotiabank) was crowned the winner of La Ruta de los Conquistadores 2014 on Saturday, Nov. 8, after crossing the finish line in sixth place in Playa Bonita, Limón. However, due to his performance on day 1, he had 6 minutes and 46 seconds of advantage over Luis Mejía (Coopenae Movistar Economy). Leao kept up the pace in the main pack since the kick off at San Buenaventura Park in Turrialba. In the 120 kilometer journey, he fought strongly against Josep Betalú, Luis Mejía, Héctor Riveros and Paolo Montoya. Todd Wells left the pack at the first checkpoint in La Alegría. The Portuguese rider came in sixth place Saturday with a time of 4:27:30, 8 minutes and 25 seconds after stage winner Todd Wells (Specialized), who got a time of 4:19:05. "This race can't be done on your own, and the truth is that I didn't know my teammates so well, but they have been amazing today and have fought for me. We rode together since the attacks began, we had it all under control until they couldn't handle it any more, " explained the lawyer turned cyclist. "Like I said yesterday (Friday), today I was going to give the best version of myself that I could, and you could count on me to give my all until the end, and it has been this way. I kept my pace in the climbs and just at the beginning I noticed that I was stronger than my rivals, they got it and at the end, well, I'm really happy. I didn't have this race set up in my calendar, this has been one of the worst years of my life, I lost my mom less than two months ago (…) and it has been very complicated, a hard time, I was about to quit competing completely, so this victory is for her." Leao assured that La Ruta is increadibly tough, "I love being here, the fans the sport has in this country give me chills, they make me want to suffer a little more just for them. In 2010 I didn't come hoping to win or lead, I wanted to be in the top ten and I won the last stage, so now I'm really happy with the title. I have never suffered so much in m life like Friday in Ochomogo, to suffer from dehydration due to how worn out I was from the day before was the worst. The altitude got the best of me." On his end, one of the favorites, winner of La Ruta de los Conquistadores 2011, USA Champion Todd Wells (Specialized) came in first in Playa Bonita, gaining time after he suffered in the previous stages. His time for stage 3 was of 04:19:05, however, this didn't make up for the last two days and he did not make the podium. 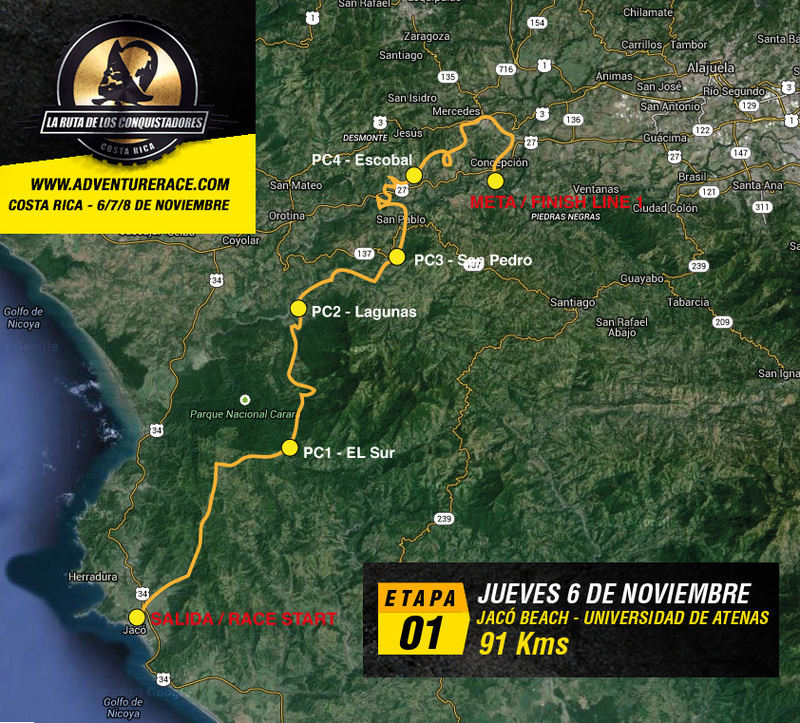 "Every time I come to La Ruta I come to win. I couldn't do it this time, but I'm really glad I got this stage, it's the first time that I win it and every time I do it better. Every time I loose a little more fear for the bridge and train track crossing. 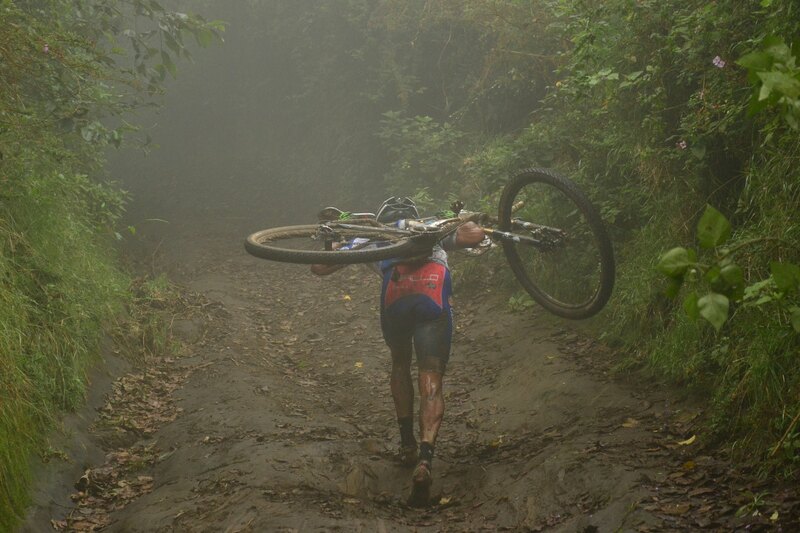 Leao was very strong, especially climbing, I tried to keep up with him throughout the race. In La Ruta there's always cyclists of very high quality, eventhough some of them aren't so well known." Said Wells. Mejía Got Second Place, Montoya is the Best "Tico"
Colombian rider Luis Mejía (Coopenae Movistar Economy) was a great contender for Leao Pinto. Mejía won the second stage held between Terramall and Ochomogo, and announced he was going for the first place this Saturday. He made up for some time he had lost from Leao, but it was a mere seconds, so he got second place with a time of 04:27:19 for the last stage. "It was a very demanding stage, just like every year, it was very tough and demanding. We all had pain in our legs and were very tired, and today Leao proved his strength in the climbs when we tried to keep up and attack we realized this was his strong point and we could not do it. In the climb of La Alegría I already knew I couldn't risk it, crossing the train track bridges fast wasn't worth risking my life. We tried to lock our position, we came here to win, but this year the bar has been very high and so now I want to come back and win this." Said Mejía. In the mean time, Paolo Montoya (Specialzied) came in second of the third stage with a time of 08:00:13, and fifth in the general results with a time difference of 00:26:27 from the winnder. Montoya, who was a favorite for the first place since the beginning, took the title of the best "tico" rider. "I wanted victory, and thank God today we got it as a team with Todd Wells efforts. We worked hard since the beginning, in the first climbs there were many attacks and we came in the fron of the pack at La Alegría. I stayed behind with the group recovering." "This edition of La Ruta was very tight and disputed. The level of racing was in an all time high, something I hadn't seen since 2006. This year was peculiar, there were many favorites to win, and see what happened. I want to congratulate Leao for his first place, I was the best national rider and it's an honor to represent my country in an international event. I wasn't doing well physically, I wasn't focusing like I should've after I got a flat tire which played an important role, but I did my best until the end." Said Montoya. Colombian rider Ángela Parra (Coopenae Movistar) killed it in the women's category taking the three stages by storm. This Saturday she crossed the finish line in Playa Bonita with a time of 05:09:57, while the second place female, Xiomara Guerrero (Specialized) came in at 05:28:15. In the general results, Parra got a time of 14:45:21, while Guerrero followed with a difference of 00:52:41, "I had memories of this stage being very tough with the bridge situation, and I really wanted to finish it quickly, so I sped up my pace in the flat parts and I didn't suffer as much as I did last time. 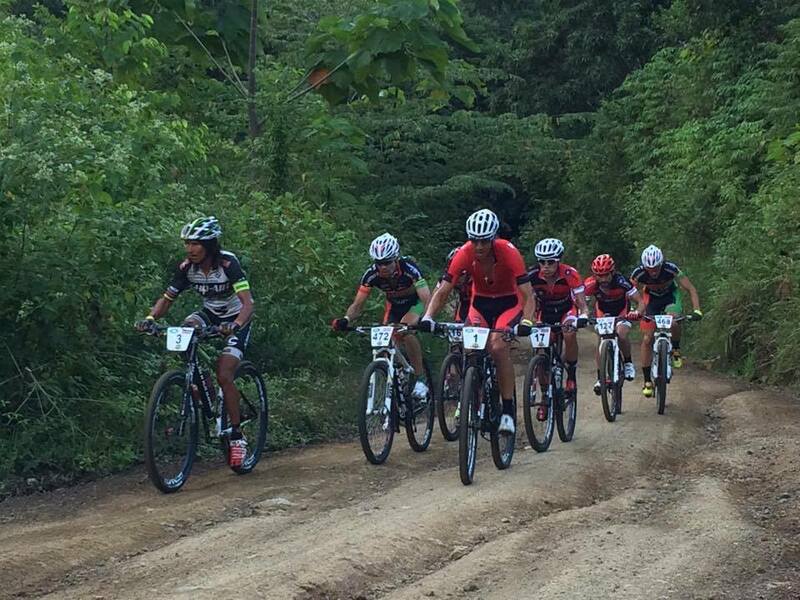 La Ruta is one of the toughest mountain bike races, if not the most, in th eplanet, but it's a sage race and one has to be smart about it." Said the champion.